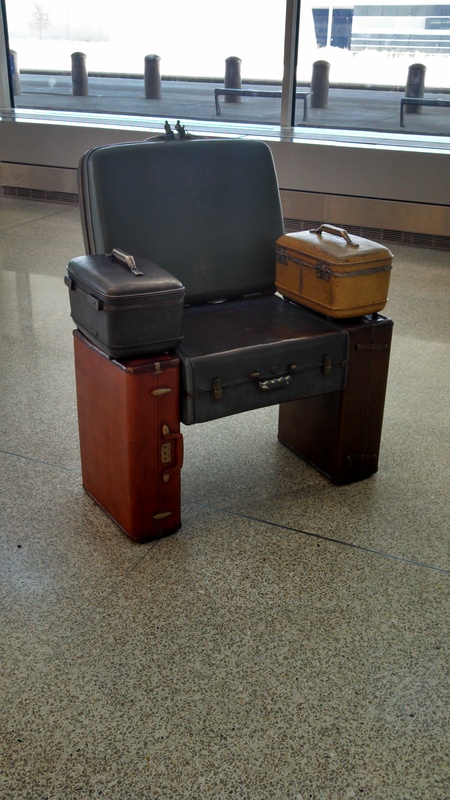 Indianapolis International Airport has a sense of humor! Waiting on your luggage? Have a seat 2. Waiting on your luggage? Have a seat 3. The hard side Samsonite back of the “chair” looks like our Goodwill donation of several years ago. 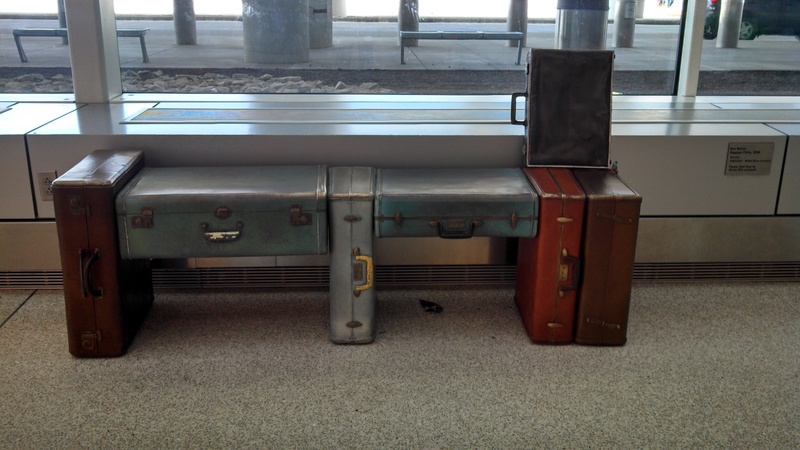 Great idea for re-purposing antique luggage. Notice that none of the components have rollers or telescoping handles. I believe this is a lovely welcome area to Baggage Claim and the mystery of what happens to unclaimed bags is solved. 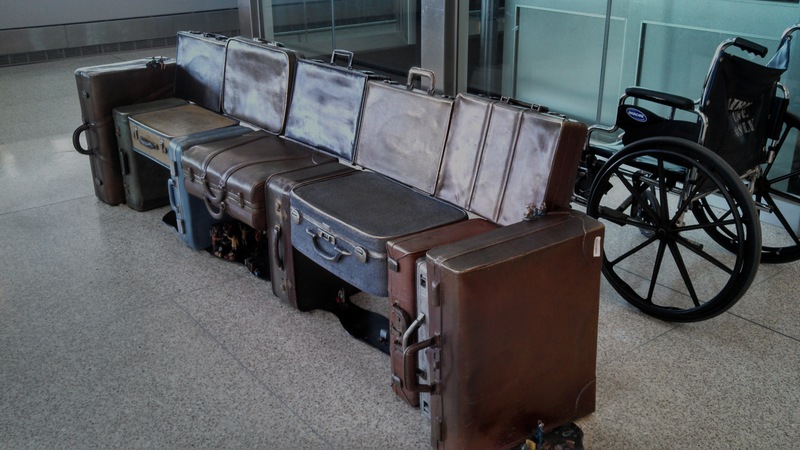 Love, love, love the suitcase seating!